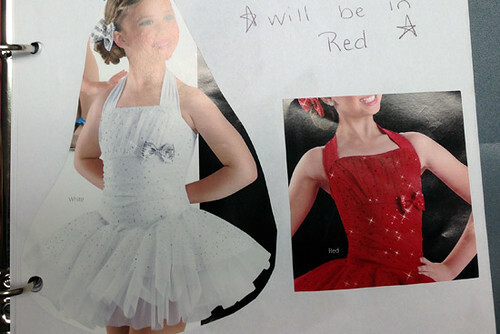 Last night I saw a photo of Autumn’s first recital costume… I am in love with it! It will be the dress pictured on the left and in the red color on the right. I still have a big storage box filled to the brim with all of my old recital costumes (that she loves to try on) and this is just the beginning for her! So fun to have a little girl! The recital isn’t even until June, but I cannot wait to see her up there on the stage.